Professional Quality, Precision Balanced, and Ready to Use. 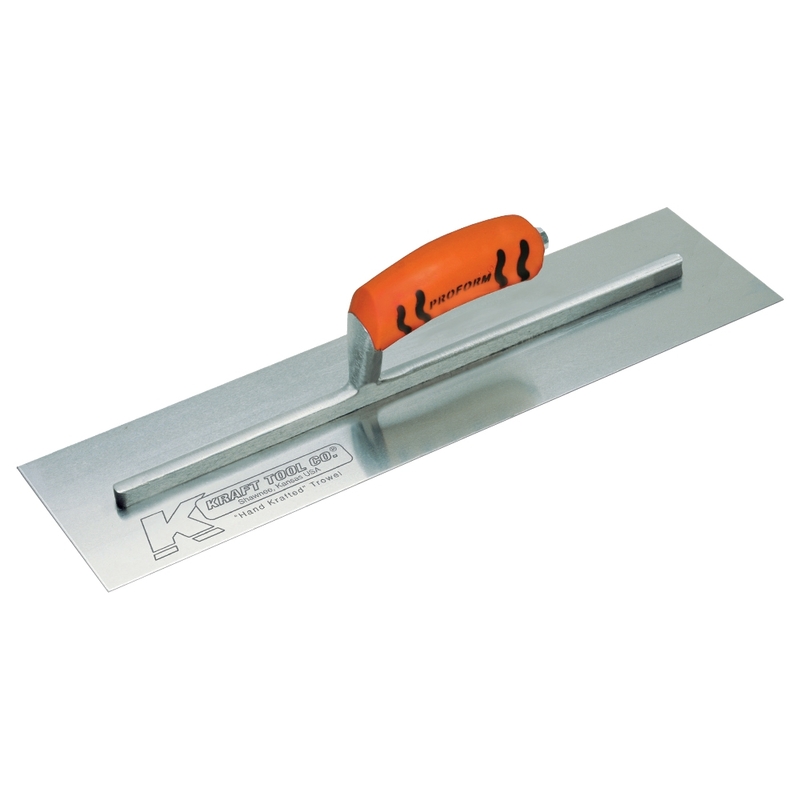 High quality carbon steel finishing trowel is precision balanced and ready-to-use. Each blade is cross ground to just the right dimension for that perfect feel. A high-strength, lightweight aluminum mounting stands up to the rigors of concrete work. Compression fit stainless steel rivets attach the mounting to the 16" x 3-1/2" blade. An oversized toe rivet provides extra strength when applying pressure during finish work. Guaranteed No-Turn handle design locks the handle to mounting. Kraft Tool's signature flat trowel with patented ProForm® soft grip handle (US Patent #6,247,204 B1) provides a comfortable grip. The bright orange handle is easy to spot on a jobsite even after use. The contoured shape and enhanced texture ribbing of the handle reduces fatigue and provides a great grip even when wet. Proudly made in the USA.